When a dentist informs a patient that they have gum (periodontal) disease, they are often quite surprised. This is because gum disease is very subtle and often begins without clear symptoms. 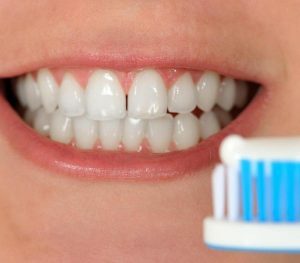 Then, when symptoms such as gum tenderness or seeing blood in the sink when brushing, patients often brush them off. Do NOT ignore signs of poor gum health such as tender, swollen, or bleeding gums! Bacteria We all have bacteria in our bodies, but our mouths are particularly full of them. And, the mouth provides easy entry for a tremendous amount of bacteria. Bacteria must be controlled. Plaque: Without sufficient oral hygiene, saliva flow and a low-sugar diet, oral bacteria can reproduce rapidly. Their accumulation over the course of a day forms a sticky film you can feel on teeth. This film is plaque. Calculus (or Tartar): If plaque is not removed in less than 48 hours, it can harden into calculus. This cement-like oral bacteria attaches to your teeth. Like plaque, calculus will continue to grow as bacteria thrive on gum tissues. Gingivitis: This is actually the initial stage of periodontal disease. At this level, gum tissues are tender and may bleed easily when brushing. Periodontal (Gum) Disease: Gingivitis can lead to gum disease, including pulling away from the base of the teeth and pocket formation between the gums and teeth. Teeth can loosen and eventually require removal. Other potential causes include medication, pregnancy, tobacco use, a depressed immune system, and poor diet. The good news is that gum disease, of which gum bleeding is a symptom, is one of the most preventable of all diseases through simple practices. Follow the 2×2 rule and brush at least twice a day for two minutes. Floss daily. Drink lots of water and eat a healthy diet. See The Glenroy Dental twice a year for scheduled cleanings to remove any calculus that has developed. If you do develop bleeding gums, or other symptoms of gum disease, consult with us to determine the appropriate, convenient and easy treatment! At The Glenroy Dental, your overall health and happiness are our ultimate goals for the holiday season and your lifetime. We can help to ensure you have healthy gums, good dental health, and a pleasing smile. We use the most modern technology available and employ the latest dental techniques.